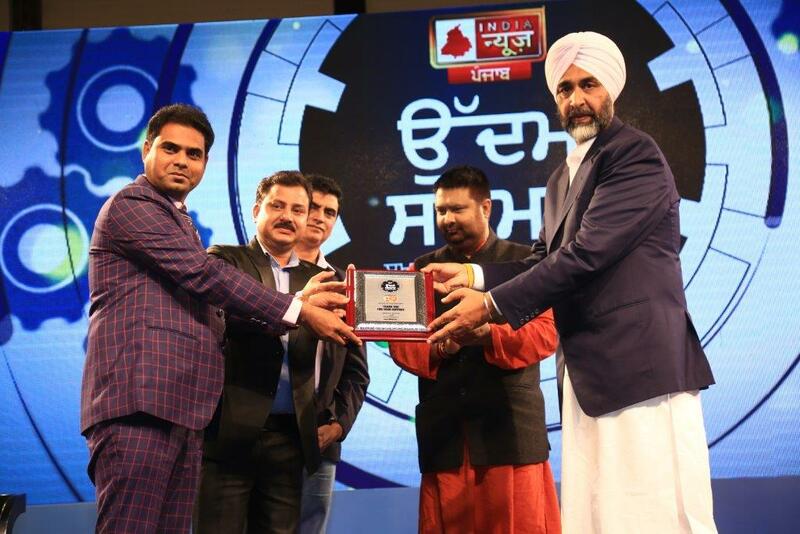 Chandigarh, 16th December 2018: India News Punjab on Sunday, organized its ‘Uddyami Samman Awards’ in Punjab at Hotel JW Marriot, Chandigarh to honour the extraordinary contribution of MSMEs in the development of Punjab. The event was graced by Shri. Manpreet Singh Badal, Hon’ble Minister for Finance & Planning, Punjab. The event witnessed three key sessions, which touched upon various key issues of the state, such as- Impact of Industrial Growth on Social Economic Development; Challenges before MSME in Punjab and an exclusive one-on-one session with the Finance Minister of Punjab, Shri. Manpreet Singh Badal. During the event, Shri. Badal also felicitated the people from the business fraternity of Punjab with ‘Uddyami Samman Awards’. 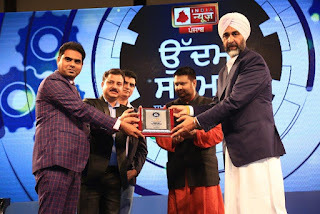 The Uddyami Samman Awards, were given in various categories including, Most Premium Real Estate Projects of Punjab, presented to Mr. Anupam Gupta, Director – Marketing, Gupta Builders & Promoters; Excellence in Fashion Industry, presented to Mr. Kuntal Raj Jain, Director, Duke Fashions (India) Ltd.; Innovation in the Cycle Industry presented to Mr. Mandeep Pahwa, Director, Avon Cycles; Excellence in Pharmaceuticals presented to Dr. Sanjeev Juneja, MD, SBS Biotech Group; Excellence in Dairy Products, presented to Mr. Dev Raj Garg, CMD, Murli Desi Ghee; Excellence in Auto Services presented to Mr. Sanjay Dahuja, Owner, Berkeley Group; Excellence in Processed Food Industry presented to Mr. Sartaj Singh Brar, CEO, Pagro Frozen Food Pvt. Ltd; Excellence in Agriculture Practices presented to Mr. K V S Sidhu, MD, Patiala Horticulture Pvt Ltd; Excellence in Clean Energy, presented to Dr Shekhar Jindal, Synergia Metier Pvt. Ltd. The event was attended by policymakers, entrepreneurs, corporates and esteemed members of the civil society.